Birthday wish come true! 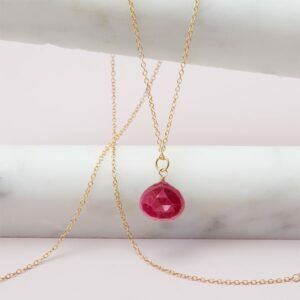 This August birthstone necklace in this sleek, sophisticated and one you’ll never take off. A round, prong-set peridot glitters on a sleek bar station to create an accessory that’s both simple and stylish. Raise the bar. Designed with a brilliant, round peridot set perfectly in an elegant bar, this August birthstone necklace showcases your birth month with timeless beauty. 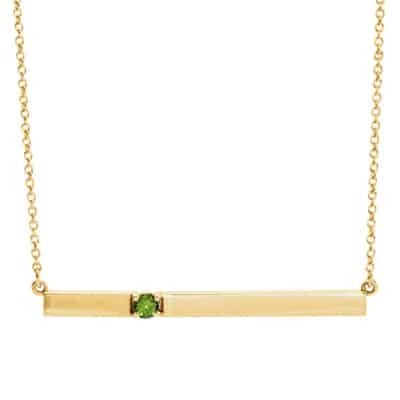 A round, prong-set peridot glitters on a sleek bar station to create an accessory that’s both simple and stylish. Lock up your look with this gorgeous birthstone necklace.